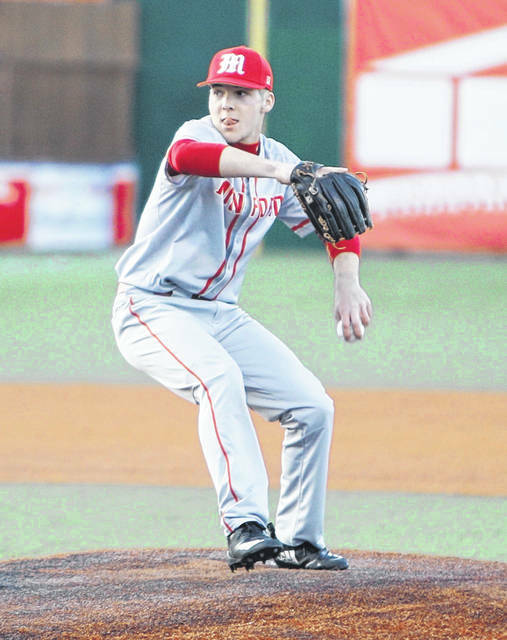 Minford handed Circleville a 10-0 five-inning loss Tuesday night at VA Memorial Stadium. Minford’s Elijah Vogelsong throws a pitch during the Falcons’ 10-0 win over Circleville Tuesday evening at VA Memorial Stadium. CHILLICOTHE — After winning a Division IV regional title last year, enduring offseason workouts and welcoming new head coach Anthony Knittel to the program, Minford looks like it’s already in midseason form this spring. 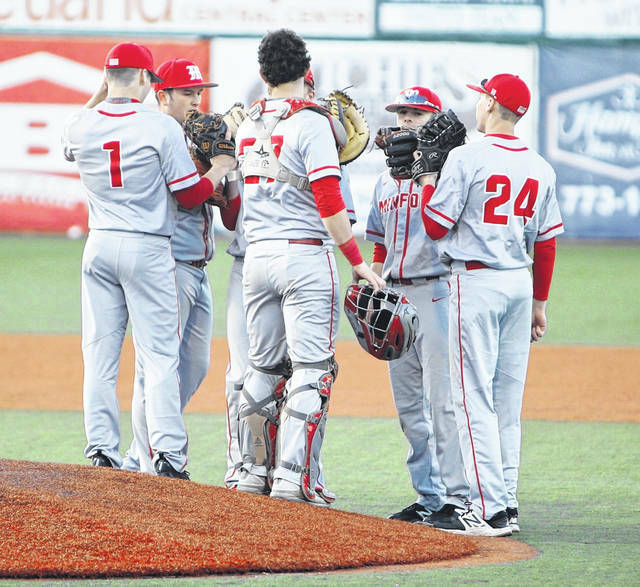 The Falcons, who swept Jackson in a doubleheader this past Saturday to begin their season, kept the ball rolling Tuesday night in a 10-0 win over Circleville at VA Memorial Stadium. So far this season, Minford (3-0) has outscored its opponents 30-7. The sky’s the limit for this year’s team. Minford’s Elijah Vogelsong got the win on the bump Tuesday, throwing five innings of two-hit baseball while striking out six. The only time Vogelsong was in trouble came in the fourth inning when Circleville (0-2) drew two walks and singled to load the bases. The lefty struck out two straight to end the scoring threat. While he mowed down the Tigers’ lineup, Vogelsong also received plenty of run support. The Falcons scored two in the second, four in the third and three in the fourth, taking a 9-0 lead. In the bottom of the fifth, Vogelsong singled and scored on an RBI triple via Ethan Lauder to send fans home after just five innings. All in all, Minford pounded out eight hits while taking advantage of four Tiger errors. At the dish, Vogelsong finished 2-for-3 with two runs while Luke Lindamood was 1-for-1 with a triple, two walks and two runs. Reid Schultz ended the day 1-for-3 with a double, a run and two RBIs, and Bailey Rowe was 2-for-2 with an RBI. The Falcons get right back at it Wednesday evening in SOC II action, traveling to Oak Hill.